산내초등학교는 파주 운정지구내 위치한 지하1층 지상5층의 52학급의 공립초등학교로서 1++건축물에너지등급의 건축물이며, 체육관, 시청각실, 급식실, 특수교실, 상담실, 돌봄교실, 음악실, 과학실 등으로 구성되어 있으며 병설유치원이 포함되어 있다. 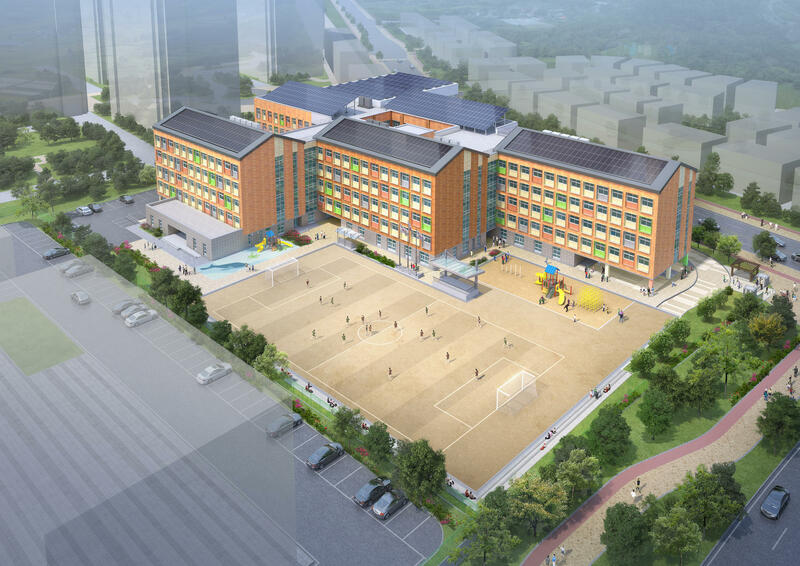 Sannae Elementary School is a public school with 52 classes, a six-story building including a basement, located in Unjeong district, Paju-si. It is a 1++ Building Energy Efficiency certified building with various facilities such as a gym, AV room, cafeteria, counseling office, music room, laboratory, and preschool.